Docko provides a broad spectrum of services, addressing every important element of the pre-development phase in accordance with your needs for Private/Residential docks, as well as Commercial, Municipal and Industrial Facilities. Environmental Factors - Permitting agencies, collectively, are insisting on more and more detailed assessment of environmental resources at sites. These can include, not just the typical tidal wetlands fringe colonies that appear on calm or coastal waters, but also submerged aquatic vegetation, shellfish beds, and benthic communities, intertidal flats, and even boulder fields which require special consideration in the permitting process. 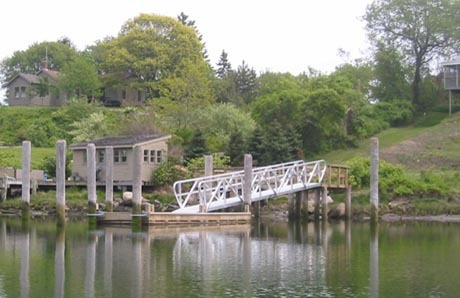 Planning and Zoning - While many municipalities do not permit docks or waterfront recreational structures, some do, and some insist on dock structures located with specific attention to zoning set backs. 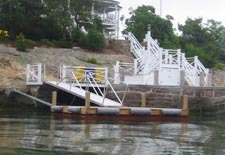 Sometimes waivers are required in order to have a dock pass through a rear yard set back. 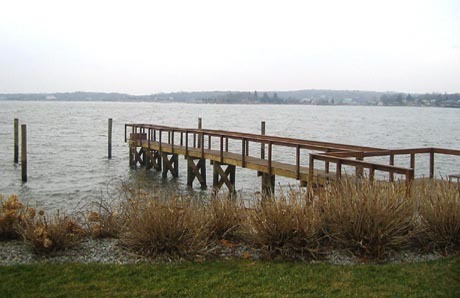 In addition, sometimes commissions require a special permit for any type of pier or dock related facility to be built on a residential property. Navigation - Navigation issues can determine the optimum location of the dock facility for your property. Sometimes the site that is most aesthetically pleasing will not yield the best access to navigable water. A balance must be struck between the functional operational considerations for the dock and the aesthetic and environmental considerations. Permitting Standards - Permitting Standards are in a constant state of change. 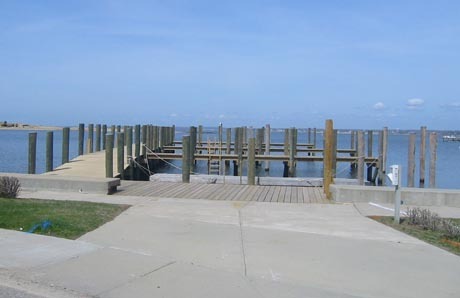 Sometimes these changes are issued without public notice process and dictate that a design is modified or the feasibility of a dock is reconsidered in the middle of the permitting process. These situations are beyond our control but must be addressed to the maximum extent in the formulation of conceptual designs and re-strategizing the permit process. 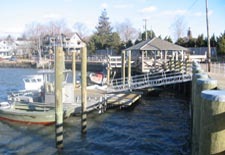 Littoral Development and Riparian Rights - Like waterfront access, potential boundary issues can limit or dictate the optimum location for a dock facility. These potential limitations must be explored early in the conceptual design process. It is sometimes necessary or advisable to obtain written neighbor consent on a project to submit along with the application documents. This helps in avoiding objections during the public notice process. Climatic Conditions - Frequently, the conceptual design process must consider prevailing and storm climatic conditions. This ensures that the functional usage of the facility and its survivability in storm conditions are duly considered. Shoreline Protections - Coastal waters are notoriously susceptible to storm induced wave damage and erosion. Shoreline protection is inconsistent with policies set forth in the Coastal Management Act. Eligibility for shoreline protection is difficult to negotiate however, there are conditions under which it can be permitted. This type of activity must be scrutinized and coordinated closely with permitting agencies prior to submitting application documents in order to assure its eligibility for authorization. Marsh Walkways - Recently some of the permitting agencies in this region have dedicated new emphasis to marsh walkways leading to piers. While some of the criteria are not regulatory, and in most cases set forth in guidelines, they are becoming increasingly onerous on waterfront property owners. These criteria are, in some cases, now being utilized in a regulatory fashion to prohibit marsh crossings. 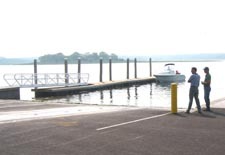 Buyers of waterfront property need to be aware of this new emphasis that could have dramatic impacts on permittability of a dock in some cases. Feel free to contact Docko, Inc. to discuss these guidelines and the ramifications to you. We would be happy to assist you in evaluating whether or not these criteria might be applied to your prospective property. 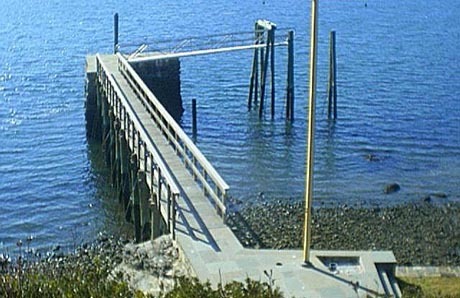 Most people realize that having a dock permitted is in effect, building a structure in a “State Park”. 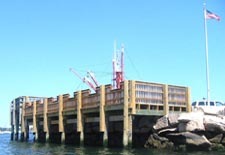 The rights of individual land owners are subject to the discretionary approval of Federal, State and local agencies to weigh the impacts of a privately owned dock on public trust rights, navigation and public access along the shoreline. Many types of environmental impacts weigh in significantly on permitting decisions. Increasingly, evaluation of submerged aquatic vegetation as well as tidal wetlands is required prior to making a decision of permittability. Water dependency is a significant issue in this evaluation process. Current standards call for encroachment limitations 50 or so feet beyond the mean low water line. Sometimes these limited dock lengths put a docking facility in precariously shallow water. This means that during low tide operations, bottom sediment contact and re-suspension of those sediments or gouging of the bottom are real issues. Such contacts can mean not only damage to a propeller / drive system but also the water being drawn into the cooling system of the engine, not to mention damage to the bottom sediments or benthos. At times it is possible to make adequate arguments regarding benthic disturbances that will help to obtain a slightly longer pier which gains access to deeper water. Most agencies are not willing to accept arguments relating to boat size as justification for a longer pier. This is something to consider when you are deliberating the feasibility and usefulness of a dock facility at your waterfront property. Feel free to contact Docko, Inc. at your convenience to discuss these issues and hear how these guidelines might be applied to your specific property.